Are you wanting to Downsize and move to a better living arrangement? Would selling your house to a company that doesn’t care if the house needs updates or repairs, and pay cash for the house, be a benefit to you? Then Home Downsizing Solutions is your answer!! Hi. 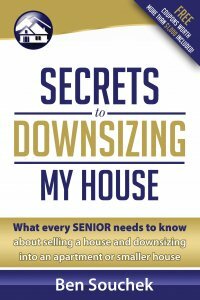 I’m Ben Souchek with Home Downsizing Solutions. Are you currently thinking about downsizing and moving to a smaller house, independent living community, assisted living community, or just in general in a more convenient place to live than your current living accommodations? 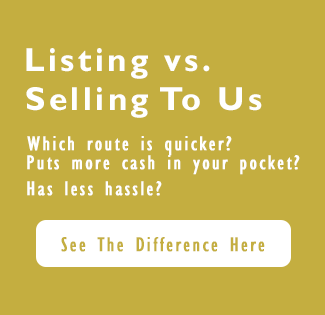 If you are looking for a stress free, hassle free way to sell your house and downsize please give us a call. The benefits that we can offer is you won’t have to worry about listing your house in a traditional manner, you don’t have to worry about strangers walking through your house to check it out, you won’t have to worry about doing any upgrades or repairs to a house, no whole house inspection by a picky buyer, and no worrying about whether your buyers can actually qualify and get financing to buy your house. We are cash buyers. We can actually buy and close your house, and not just get a contract on it and find someone else. So, give us a call and I’d be happy to discuss what we can do for you toll free 855-291-5005. 855-291-5005 or www.homedownsizingsolutions.com. Thank you.